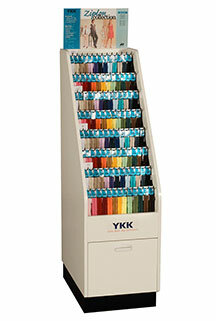 YKK®, with its variety of assortments and fixtures, can meet the needs of any retail setting. All fixtures are attractive, durable, store and customer friendly. These fixtures allow for easy selection and supports effortless maintenance and replenishment for the store. 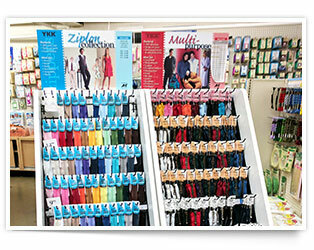 The YKK floor fixture effectively merchandises a wide range of zippers for quick and efficient product selection. The tiered design allows for systematic organization of various zipper styles and lengths. The YKK wall fixture offers a lightweight option for standard pegboard/slat wall mounting while allowing for multiple assortments in a small space. 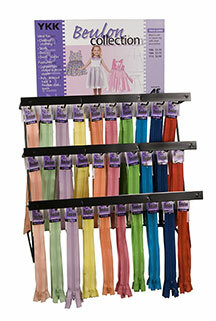 The tiered design allows for systematic organization of various zipper styles and lengths. Click here for Product Support information.